Five years ago, New Jersey-based Danielle and Jake Vance began catering weddings and parties, and selling their vegan baked goods by mail order. 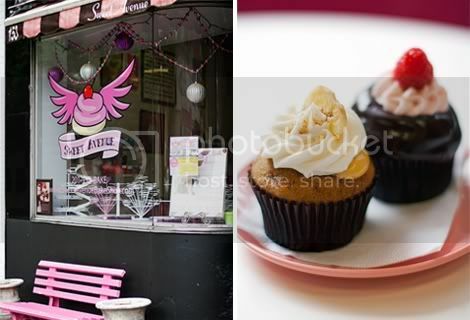 A year later, they opened Sweet Avenue Bake Shop as a brick-and-mortar bakery to an already well-established customer base. Today, Sweet Avenue's continued success proves that nobody's missing the dairy or eggs. I took a trip to taste for myself with good friends and fellow Veganauts, Terry and Dawne. Getting to Rutherford, NJ — and Sweet Avenue — from NYC was a virtually painless, quick and easy trip on a sunny summer day. We arrived at the shop ravenous for cupcakes. We were ready. And when we got inside and saw the charming little cakes all lined up in colorful rows, we sort of went nuts. I wanted one of each flavor in the case, which would have amounted to about 17. Instead, the plan became "Lets each order two and then share them all." Between the three of us we wound up with Banana Cream Pie and Raspberry Swirl (above) , Margaritaville and Tiramisu, Peanut Butter Chip and Cinnamon Sticky Bun (below). We dug into those cupcakes like they were the last cupcakes on earth, and left entirely full after making a disaster area out of the table with frosting and cake crumbs. My only small gripe? The chocolate and tiramisu cakes could have been a bit more moist, but they were still tasty. Danielle and Jake couldn't have been sweeter, and their cupcakes definitely took the cake. 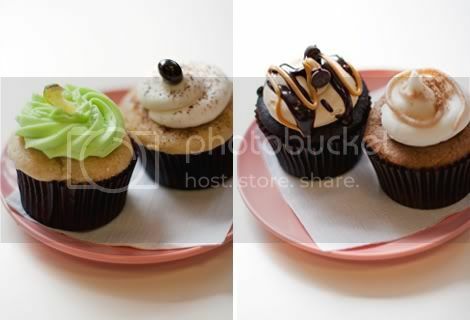 Plus, a major tip of the hat to them for their unique flavors and beautiful frosting/piping work. The winner of the day? Cinnamon Sticky Bun by a mile. 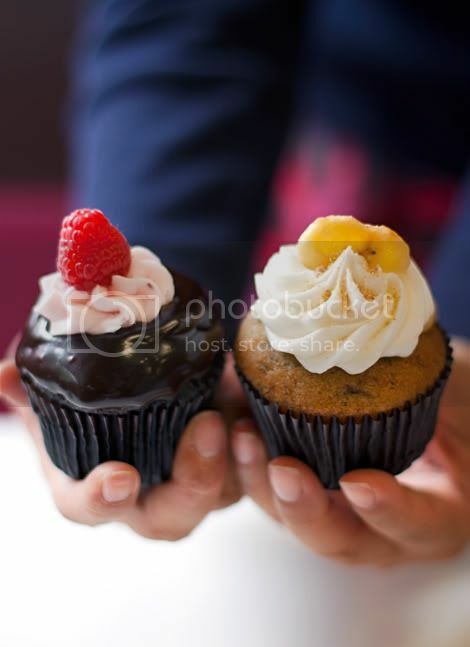 If all this talk of cupcakes makes you yearn to grab a few of your own, Sweet Avenue can be found at 153 Park Ave. in Rutherford, NJ.